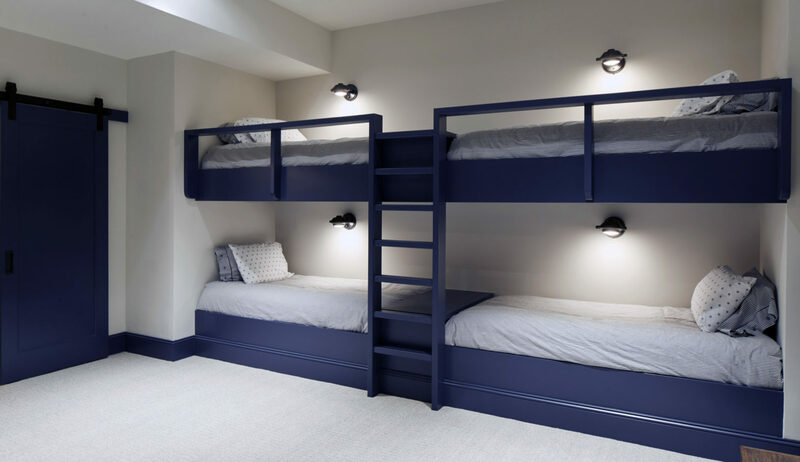 There are many benefits to adding a bunk room to your home: there’s nothing like them for hosting overnight guests easily and conveniently. Whether the kids next door, slumber birthday party guests or your out-of-town sister’s family, bunk rooms make hosting multiple people in your home a breeze. They’re among our favorite features to include in a new home – which is why we’re including bunk rooms in our Morgante Wilson Thirty Years, Thirty Ideas Series. Bunk rooms are flexible and versatile. Kids of all ages will enjoy the camaraderie of a shared sleeping space; you’ll enjoy the ease of having everything at the ready when guests stay overnight. Take it a step further and outfit your children’s bedrooms with queen beds, and you’ll have even more options: adults can sleep comfortably in your kids’ rooms, while your kids relocate temporarily to the bunk room with their cousins or friends. Two of our favorite recent projects illustrate the benefits of a bunk room. One family has four boys. The other family has three girls. Both families’ homes feature finished basements with bunk rooms. They enable the kids to be as loud and silly as they want without bothering anyone else in the house. In both cases, the bunk rooms are more sturdy than luxurious. Intentionally designed to withstand the rough and tumble of active kids, they’re simple, practical spaces built out with raw building materials such as 2 x 4’s and plywood. They’re virtually indestructible, yet certainly appealing, thanks to colorful paint and equally colorful floor tiles. They’re also appealing to parents wanting to fit life-enhancing amenities into their budgets. Of course, bunk rooms can also be designed and furnished to the same standards as any other room in the house. The choice is up to you – but the end result is the same. No longer will you have to turn visitors away for lack of sleeping space, wrestle with blow-up mattresses or hunt down decent pillows to lend your guests. Your bunk room will be made up and ready to welcome them as hospitably and comfortably as you’ve always dreamed. For more good ideas, give us a call. 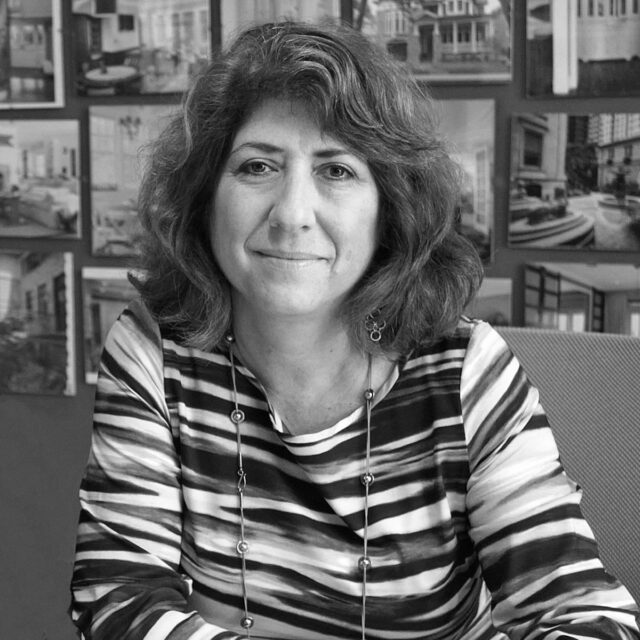 The talented team at Morgante Wilson Architects has been helping families just like yours build homes that enhance lifestyles for thirty years!